Despite a number of challenges that the Thai tourism industry faced in 2018, particularly with groups from China, Thailand welcomed 38,277,300 million international visitor arrivals in 2018, up 7.5% on 2017. The country normally targets a yearly increase in arrivals of around 7 to 7.5%, and in 2019 is looking to welcome approximately 41 million people. Thailand's visitors generated just over 2 trillion Baht (roughly US$ 62 billion) in 2018, of which the lion's share came from East Asia and Europe. China arrivals, not including those from Hong Kong or Taiwan, accounted for 580 billion Baht in tourism receipts, up 11.52% on 2017. ASEAN brought in 331 billion (+11.01%), Russia 115 billion (+12.72%) and the USA 83.2 billion Baht (+12.18%). Read more about: Thailand Visitor Arrivals and Tourism Receipts in 2018. Now, areas of the country normally more associated with agriculture, are looking to tap into this lucrative market and have started marketing themselves to both international and domestic tourists. One such example is Sisaket province in the north east of Thailand. Home to roughly 1.5 million people, the province shares its border with Surin, Roi-Et, Yasothon, Ubon Ratchathani and Cambodia, and covers an area of approximately 8,840 square kilometres. Thanks to its geographic location and a mixture of extremely rich and fertile soil types, the province produces some of the best durian, mangosteen and rambutan in the Kingdom. 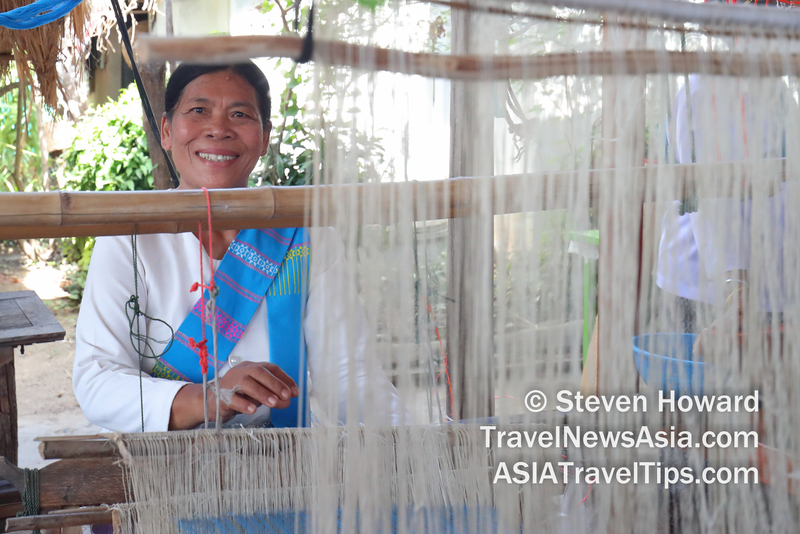 It is also famous for cloth made from silk and cotton and woven in a khit (ผ้าขิด) pattern. 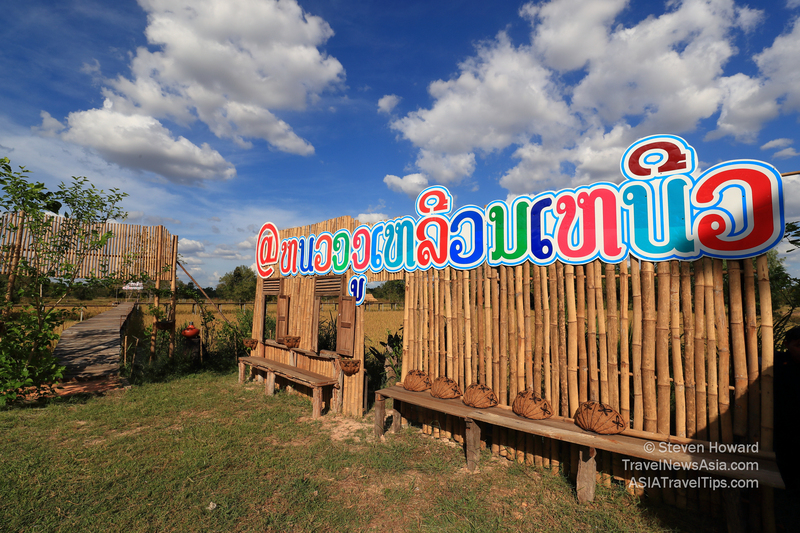 Not looking to compete with the world-famous holiday destinations of Phuket and Samui, small villages in Sisaket, as well as elsewhere in Isaan, are marketing themselves as an authentic rural Thai experience where you will learn how real people live and work, rather than just mingle with other tourists in a packed tourist hotspot, bar or nightclub. What they are offering is an experience that you are unlikely to ever forget. The opportunity to truly immerse yourself in the local food, culture and traditions of the village that you are visiting and staying in. An opportunity to make genuine Thai friends and feel like a welcome part and friend of the community, rather than just another visitor. Perhaps you would like to learn how rice, shallots or other local produce are made, go foraging in the woods, discover what home-cooked Thai food is all about and maybe even learn how to prepare it. 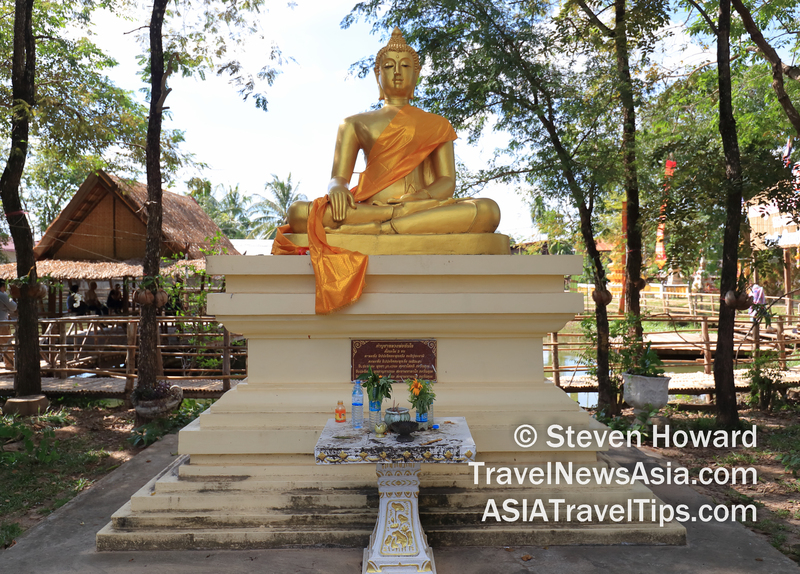 Or, perhaps you would like to take part in a ceremony at the local temple, listen to the monks chant and pray, and learn first hand how important the temple is to the the small village that you are in. The possibilities are endless, and as the local villagers are all so keen to showcase their community to you, they will go out of their way to ensure that they give you unique experiences that will live in your memory forever. These memories and authentic experiences are not only valuable to you and the local community that you would be supporting, but it is also something that Thailand is now actively trying to promote, as they country attempts to manage the ever increasing number of arrivals. Thailand is known as the Land of Smiles, and it is important that everyone within the beautiful Kingdom can benefit from the tourism boom, not just the world-famous tourist destinations that we are all so familiar with. The pictures featured in this article are by Steven Howard and were taken in Sisaket Province in November 2018. See more: Pictures from Sisaket. See latest HD Video Interviews, Podcasts and other news regarding: Sisaket, Khon Kaen, Ubon Ratchathani, Roi-Et.